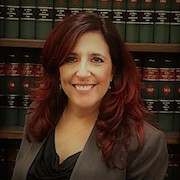 SIWBA is a chapter of the Women’s Bar Association of the State of New York, which was formed in 1980 to promote the advancement of women in society and of women in the legal profession, promote the fair administration of justice, and give voice to issues of particular importance to women attorneys on a statewide and national level. SIWBA was one of the first chapters to join WBASNY and support its mission. 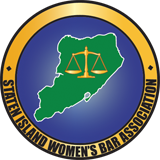 It is truly an honor and privilege to serve as the President of the Staten Island Women’s Bar Association for 2018-2019. The SIWBA is a chapter of the Women’s Bar Association of the State of New York. Founded in 1980, the SIWBA is dedicated to promoting the advancement of women, the fair administration of justice, and gives a voice to the issues impacting women in the law and society. I would like to thank the 2017-2018 board for all their hard work last year as well as all the past presidents who have paved the way for me to serve as the president of our chapter. I am very enthusiastic about our upcoming year and would also like to thank my incoming board who are all amazing. As President, I will continue with our past programs and events including CLE programs, judge’s night, wine and wellness and our annual breast cancer breakfast and walk. Over the next year, I plan to work with other bar associations such as Brooklyn Woman’s Bar, Richmond County Bar Association, Staten Island Trial Lawyers Association and the Bay Ridge Lawyers. I would also like the SIWBA to be more involved in the community and with other organizations that promote our mission. I look forward to the upcoming year and welcome your suggestions and input. Please feel free to contact me or my board using ‘Contact Us’ section of our websit. I hope to see more of the members get involved.